Looking to head down under this year? There are so many hot spots to see in Australia that it really is wise to make a list of what you want to hit on your trip and then plan to fly into a city which will maximise your travel time while in country. Let's take a look at the major airports serviced by flights from the UK and namecheck amazing sights within range of them. Possibly the granddaddy of all Australian destinations, flying into Sydney for you holiday will not leave you short of sights to see and things to do. In the city itself you can sample plenty. Try chilling at Darling Harbour, swimming at Bondi beach, taking a stroll around Wooloomooloo, having a picnic by the Opera House, visiting Taronga Zoo or climbing the Harbour Bridge. Just a short skip and a jump from the city limits you can hike in the glorious Blue Mountains, go wine tasting in the Hunter Valley, take in the scenery at Byron Bay and visit dozens of pristine beaches and take a dip. Located in the Northeast of Queensland, Cairns is your gateway to the Great Barrier Reef. You can also check out the Daintree Rainforest, beaches galore and tackle some high octane biking trails. In the city you have plenty of museums, art galleries, pubs and restaurants to make your stay a memorable one. Make it your business too to stop by the manmade lagoon, it is a nice way to spend an afternoon! 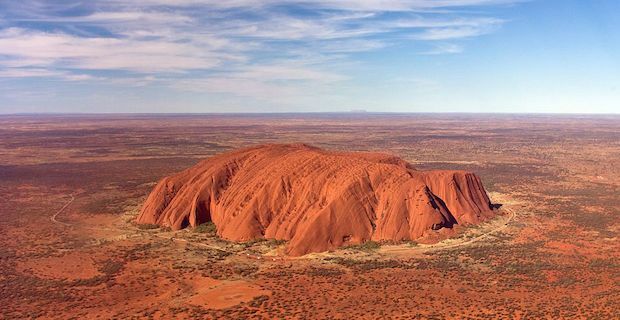 Finally, if you are looking to visit Uluru, aka Ayers Rock, then you have a number of options after arriving in Australia. Virgin Australia and Quantas both have plenty of internal flights to Uluru from most major Australian cities(bar Canberra). Expect to pay circa $160 each-way for these flights or alternatively make your way to Alice Springs, rent a car and take on the mammoth 450km drive through the unpredictable Outback. You may never have another adventure quite like it!